The provision of health and safety information to survey participants is an important part of the BTO’s and BWI's roles as a survey organisers. 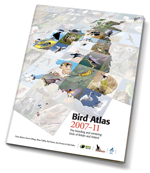 The BTO has developed a general health and safety information document to be distributed to all volunteers undertaking survey work, ringing or nest recording on behalf of the BTO. The information leaflet has been developed in close liaison with the Joint Nature Conservation Committee (JNCC) and with other organisations that use volunteers in their surveys, because it is important that we all have a similar policy. Its contents are not meant to cover every possible health and safety issue that might arise in the countryside, but provides general common-sense advice, together with details of where further information can be found.